Four hockey players from Odisha have been selected to represent the country at the Vitality Hockey Women’s World Cup to be played in London next month. Hockey India announced the 18-member Indian women’s hockey team for the prestigious tournament which is slated to begin on July 21. Rani Rampal will lead the side. 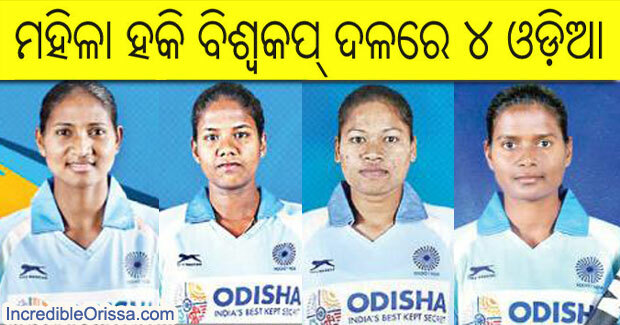 The four players – Sunita Lakra, Deep Grace Ekka, Namita Toppo and Lilima Minz from Odisha will be a part of the 18-member squad which will be led by forward Rani Rampal with goalkeeper Savita as her deputy. All the four were also a part of the team which finished runners-up in the recent Asian Champions Trophy. Ace defender Sunita Lakra led the Indian team to the final but eventually lost the title after a 1-0 defeat to South Korea. India have been placed in Pool B along side hosts and world no. 2 England, world no. 7 USA and world no. 16 Ireland. The tournament will also witness the return of goalkeeper Rajani Etimarpu after having rested for the Spain Tour.